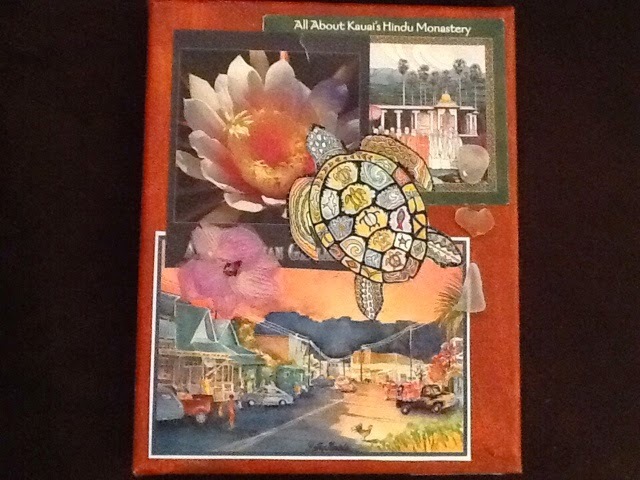 I continue to work on various projects and finally finished a collage I made for my son's birthday since he was brave enough to take me to Hawaii! I used a pre-stretched 8x10 canvas and acrylic paint plus ephemera including sea glass he and my grandson found for me on the beach. I also used a flower from the lei. The collage is very lovely. I'm sure your son will love this. You are so creative.